Happy Summer! Summer came to Montana very abruptly this year, we are hot and sunny! Hillbilly haven is in full swing with summer company and floats down the Yellowstone river. 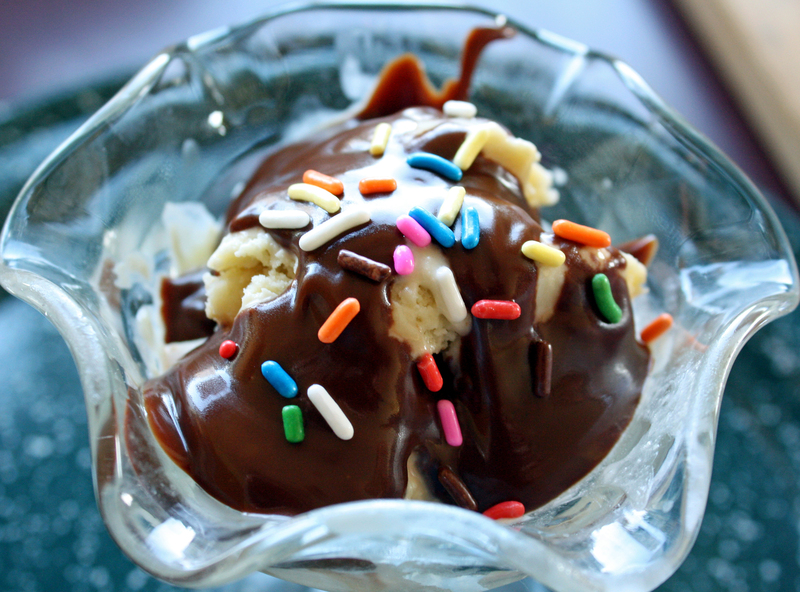 Nothing spells summer more than a hot fudge sundae!! I have adapted this recipe from an old Better Homes and Garden cookbook my mom gave me years ago. This is a bit decadent, but worth the splurge! Every year I send my nephew a jar or two for his birthday and he hoards it all to himself. You may be tempted to skip the ice cream and eat it straight out of the jar. Gradually stir in the evaporated milk and bring to a boil. Reduce the heat and boil over low heat for 8 minutes stirring the whole time. It will thicken a bit. Serve warm or store in glass jars in the fridge. It will keep for weeks. This post is dedicated to my mom who passed away on May 27, 2015, after a long struggle with Alzheimer’s disease. My mom was an incredible person. She had eleven children (I’m number 10) and made each one of us feel special and loved. She made us homemade lunches, birthday cakes, and daily home cooked meals. She loved the outdoors, especially being in and near lakes. In the summer, when we were wee ones, she would stick us in playpens outside, and as we got older, she would load a bunch of us into our big old family station wagon and head for a lake. Daily she shooed us outside to play and run around with the neighborhood kids, of which there were many to choose from. She had a contagious laugh, which my sisters and I inherited, and she laughed often. She taught us not to care what others thought, but to be ourselves. She never held a grudge and forgave easily. She often extended her love and generosity to the neighborhood kids, and when anyone brought home someone for Christmas last-minute, there were always gifts for them. My mom was more than just a mom, she was a gardener, nurse, chef, housekeeper, comedian, interior designer, party planner, antiques collector, baker, teacher, shopper extraordinaire, psychic ( she could always make me call her no matter how far away I lived), communicator, and friend. 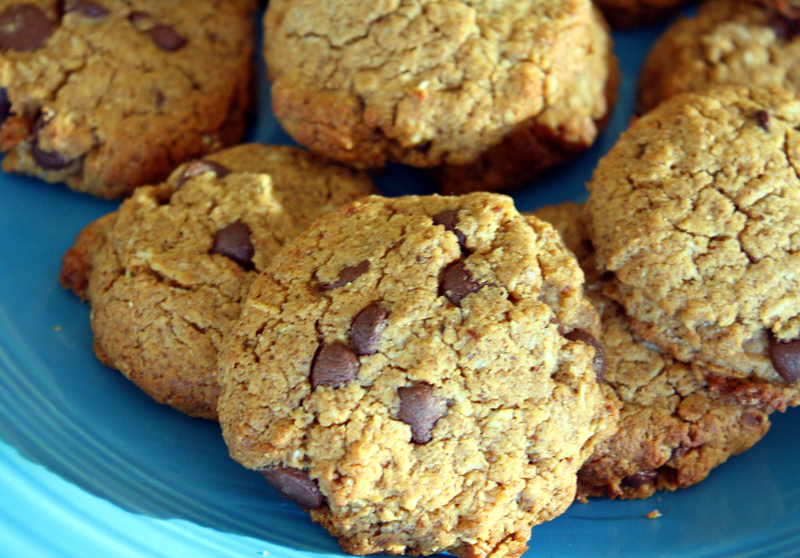 One of my best memories was stepping off the school bus and opening the door to find fresh-baked cookies (by the dozens) sitting on the counter to cool. A sweet tooth’s dream come true. In our house you ate treats whenever you could get your grubby paws on them, because with 10 siblings they didn’t last (hmm maybe that’s were my food hoarding tendencies come from). I like to imagine my mom swimming happy and free up in the spirit world in a big beautiful lake watching over her legacy…… us kids! This is a tried and true recipe I found HERE. I have altered it only slightly from the original by cutting back on the sweetener and coconut. They are fast and easy and quite satisfying. I guarantee they will go fast, whether you have 10 siblings to compete with or not. In a mixing bowl, mix together almond butter, egg, vanilla, baking soda, salt, and honey until well blended. I like to do this by hand as I found the texture of the cookie gets cakey if you over mix the dough. Bake for 6-8 minutes depending on your oven. They are done when the edges get golden brown and the tops crack a bit. Let cool as they are fragile when hot and then enjoy! Makes approximately 16 Cookies.